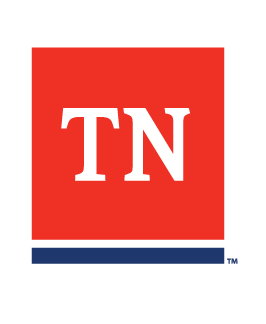 Generally, Tennessee employers, not in the construction or coal mining industry, with five (5) or more full or part-time employees are required to carry workers’ compensation insurance on those employees. Corporate officers and family members meeting the definition of employee are included in the count towards the total, regardless of whether or not the officer(s) elects to decline coverage. Any person engaged in the construction industry is required to carry workers' compensation insurance on their employees. Effective March 28, 2011, construction employers in the contracting group designated by the National Council of Compensation Insurance (NCCI) must have workers’ compensation insurance on all of their employees and themselves unless you are a sole proprietors or partners with no employees being paid directly by the property owner). Employers in the coal mining industry with one or more employees are required to provide workers’ compensation coverage. State and local governments and those employing farm laborers or domestic help are exempt, but may elect workers’ compensation coverage. A subcontractor must provide coverage for his employees. Subcontractors, with the agreement of the general contractor, can elect to be covered by the general contractor's workers' compensation insurance by filing an Agreement of General Contractor to Provide Workers’ Compensation Coverage to Subcontractor (Form I-15) or a subcontractor can have his own workers' compensation coverage and furnish proof of this coverage to the general contractor. The subcontractor, acting as a self-employed individual, is not an employee of the general contractor and has no coverage as long as he/she is not working as an employee. The Form I-15 allows the general contractor to withhold premiums from the subcontractor's payroll to cover the subcontractor and its employees. Failure of the general contractor to file the form with the Department of Labor and Workforce Development does not relieve the obligation of the insurance company to provide coverage to a subcontractor when the subcontractor can produce evidence of payment of premiums to the insurance company. There is no form that will waive the rights of employees of subcontractors. (g) The freedom to offer services to other entities. The law prohibits an employer from deducting any portion of the workers' compensation premium from the wage or salary of any employee. There is no form that will waive the rights of employees of subcontractors. The subcontractor must provide coverage for his employees. A subcontractor can have his own workers' compensation coverage and furnish proof of this coverage to the general contractor. A general contractor can require the subcontractor to have workers' compensation insurance. Most subcontractors are sole proprietors or partners. Sole proprietors and partners in non-construction related industries are not covered by their workers' compensation policy when it is written; only the employees are covered. The subcontractor that is a sole proprietor or partner in non-construction related industries may elect to be covered by his own workers' compensation policy by filing Form I-4 (Election of Sole Proprietor or Partner to Come Within the Provisions of the Tennessee Workers’ Compensation Law) with the Tennessee Department of Labor and Workforce Development.